Review by Amy Tweddle of We Are Quasars and mylittlebrother. 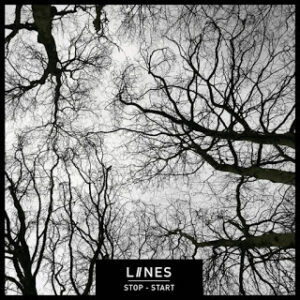 Manchester trio LIINES have gradually built momentum releasing several tracks since their debut single two years ago making the release of their debut album Stop-Start a long time coming. The wait was worth it. From the outset Stop-Start grabs the listener by the scruff of the neck and demands attention, there’s no hanging about while they slowly introduce you to their work, no, it starts like a pistol and doesn’t let up. At all. Everything is immediate, don’t even bother trying to catch a breath during this aural assault as it’ll be snatched away from you every time. Comparisons to Sleater-Kinney are obvious but there are other references that can be made; Savages, Gang of Four and even PJ Harvey in places. I will, however, admit that Stop-Start is reminiscent of SK’s debut at times, and Zoe’s vocals are akin to Corin’s in the sense that they are urgent and demand you listen to what she’s saying, but for me that’s where the similarities end…yes they are a ‘female’ trio BUT that doesn’t (and shouldn’t) define them or the music they play – this band are strong enough to standalone from past influences and probably become an influence themselves. The thing I love most about this album is how raw and abrasive it sounds. One thing LIINES can’t be accused of is pretending to be something they’re not – a refreshing break from all the overly polished albums of late. Everything about this feels authentic, there’s no hiding behind production or layers to build the music up, this is how they sound, like it or don’t – that’s your choice, but this is an honest reflection of a band doing what they do best. The musicianship and style of playing has created this beast of an album that pounds relentlessly – Leila’s drums are just what the songs require – nothing overly complicated but are enough to make your bones rattle, Steph’s bass is as rugged and muscular as they come, you can hear every ounce of energy going into hitting each note, and as if all of that wasn’t enough, Zoe’s acidic guitar work gnaws away over the top – simple and minimalist but very effective, there’s no playing for the sake of filling a gap, every bit is structured and deliberate. Highlights from the album include, well, every track really, though Find Something will be stuck in your head for days. Stop-Start is a very solid album which I can only imagine sounds even better live – I’ll be keeping tabs on this band and I strongly suggest you do too. I guess all that’s left for me to say is go and buy this album on May 4th! The LIINES website is here: weareliines.com. You can follow them on Twitter as @werareliines and Like on Facebook. This article originally appeared on hiapop here. All words by Amy Tweddle via Paul Scott-Bates. More of Paul’s writing on Louder Than War can be found at his author’s archive. Paul’s website is hiapop and you can follow him on Twitter as @hiapop, and on Facebook here.